With renowned anti-Apartheid activist, lawyer and former ANC treasurer-general Dr Mathews Phosa gracing our 2017 cover, there was a significant level of anticipation leading up to the launch of the 17th edition of the Impumelelo Top Empowerment Companies publication at the annual Top Empowerment Conference, held at the Birchwood Hotel and OR Tambo Conference Centre in Johannesburg. Dr Phosa himself arrived at the launch, much to the delight of the packed house, and even took time to sign copies for enthusiastic attendees. 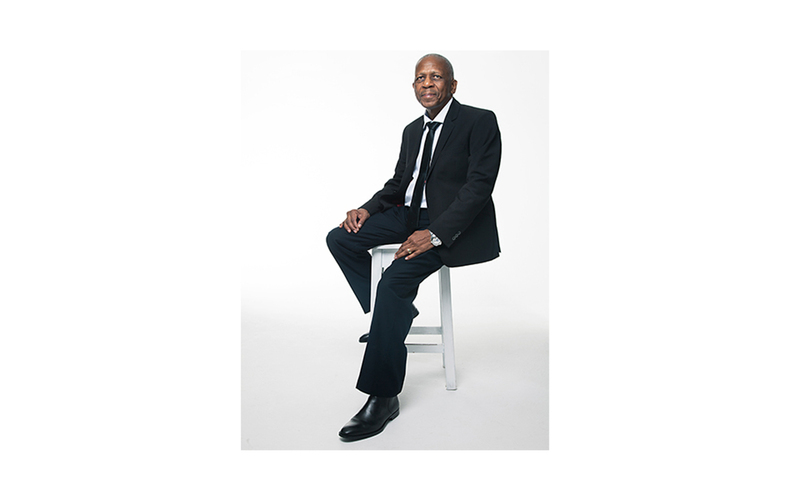 In an exclusive interview, we asked Dr Phosa what the fundamental keys are to real economic empowerment; got his take on the importance of platforms like Top Empowerment – and his thoughts on why some people confuse him with Morgan Freeman. as chairman. He was awarded an honorary doctorate by the University of Boston in 1995. Education is the most important tool we can use if we want to transform South Africa politically and economically, says former ANC treasurer general Advocate Mathews Phosa. In a wide-ranging interview at his office in Bryanston, Phosa, who is now a successful businessman, said that education was the best form of empowerment. He also called for an economic Codesa negotiation involving most sectors of society) to address South Africa’s economic problems. “There’s no better empowerment than education. We must not think that, because we have a black skin, that we are entitled to be a millionaire. The question is what are the skills that we can give to you, which no one can take from you? “Education is the stepping stone towards economic empowerment and there are no shortcuts. But it is education in all its forms. We should be saying to the government and private sector, let us maximise our investment in education and produce as many people with skills as possible. “I’m talking about both vocational and academic skills. We tended to move towards academic skills, but we need to strengthen our basic skills at a vocational level. “When the ANC came into governance in 1994, we closed a lot of vocational training institutions. That was a serious mistake. It was a mistake not to increase the number of nursing colleges and teacher training colleges. “You cannot get education without the educators. Therefore, we must invest more in educators to be able to educate our nation. “Today we’re faced with the reality that nine out of 10 mathematics teachers are Zimbabwean. Why? What has happened to us? “I spoke to President Mugabe about this one day in his office. I asked him how he got it so right. You can differ with him on anything else but he’s done very well in education. His success is unparalleled in Africa. Phosa said the best way of spending on education was to train teachers who would be able to identify which learners would succeed. “Not everyone is university material. Teachers must be able to assess this and help children in other areas of strength. A degree is not the be-all and the end-all of success. There are many people who are succeeding despite not having degrees. Asked about the call for free education at all levels, Phosa said it would be ideal to have free education for everyone. “It would be ideal to have free education, like they have in Botswana, but we do not have the resources. We have the resources to intervene in situations of poverty and I am happy that the government is doing that. The formula is beginning to favour the poor. Phosa said that to understand empowerment and transformation one has to go back to 1994. “As South Africans, we inherited a politically and economically racial society. You didn’t find the black majority – and by black I include coloured and Indian people – being part of the mainstream economy. The idea was that we should bring all black people into the mainstream economy so that we could deracialise it. “This should happen not only in terms of individuals from those communities becoming part of the mainstream economy, but even the communities themselves becoming part of it. This is a very important part of what we tried to do. “Black economic empowerment (BEE) was punted as the first step towards that. There was a feeling in government that the private sector was not going to willingly do it and that it needed to be promoted at a policy level and legislated to give teeth to the policy. “That’s the short background to it. Where are we now? We’re at the stage where there have been successes and failures. We must acknowledge that there’s been a serious effort by government and the private sector to respond positively to this policy in the legislative framework. As a result, you have many black people who had been left out of the mainstream economy previously, who are part of it today. “They are part of the economy and it’s produced millionaires, billionaires and multibillionaires. There is a lot of cash, which has been spread around in a non-racial way and which is a strong positive effect of the legislation. “There has been a strong effort by the private sector to comply with the scorecards, to tick boxes, but government put frameworks in place, which forces the private sector to comply and for them to begin to contribute to the transformation and deracialisation of the economy. “We must give credit to the private sector in South Africa and not just reduce those efforts to the ticking of boxes, because they go with values. A lot of value has been shared in those companies. “Those are the first steps in the right direction where people took their own initiative to begin to transform the economy while others said that they would comply with the legislative framework of government. “The challenge we face is that communities, especially in rural areas, have been spectators to this development. For example, in mining in Northern Cape, Limpopo, KwaZulu-Natal and Gauteng, communities will be on land, which has been mined, but, in most cases, they are just spectators. They have no meaningful participation in those huge projects taking place in their areas. “Some of the biggest new mines were opened after 1994, and communities are not participating. If they are participating, it’s largely by bringing their labour or in a pittance of a small trust. They are not substantive shareholders in those mines. “This is happening across mining companies. Big corporates must try to bring the communities into the mainstream economy, so that they don’t just benefit from the community as labourers but as equity holders in the wealth of the country. That’s the big challenge. “Economic liberation is critical, but it’s not only the economic liberation of individuals. It is also about the economic liberation of the community and the people. “We must continue to persuade one another. We should not threaten one another. We should not over-legislate the process because we’ll throttle the spirit of free enterprise; we’ll damage the atmosphere in which we do business and there will be a negative reaction by potential investors. They will just not come here. They’ll go to another jurisdiction to invest. “You need a strong middle class which will have an interest in stabilising the democracy we have. As many people as possible should have an economic stake in this democracy. If they do have that economic stake, they will strengthen our democracy. They will not threaten it. They’ll embrace it because it will have meaning to them. “To put a ballot in a ballot box is not sufficient liberation. It’s mere political liberation. The real meat of liberation is economic. If people are going to go to bed on empty stomachs, and when they wake up in the morning, they suffer the humiliation of unemployment, they will become restive. “If these people who are unemployed are asked to send their children to school, they will have no money to pay for their fees and then you will have ‘fees must fall’. “You need to understand where these things come from. The root cause of instability is hunger, poverty and deprivation. Therefore, the root is the failure to participate in the economic cake. We cannot just provide painkillers in this situation. It’s not going to solve it. Phosa said that the government’s employment equity policies could have been implemented more effectively. “It has not been effective. If you talk about a simple thing like the role of women in private sector, it’s very minimal, in leadership level and lower levels. “I feel strongly that if women are 51 percent of our community, as we say, we need to invest even more in them, because by so doing we will be investing in the majority. They must play a bigger role on the economic front. We need to empower more women in the economy and not just tick boxes. We should have women at board, management and operational levels. “Employment equity must address those issues for me. It’s not racial equality only, it’s also gender equality. Even white women are not playing big roles in the economy. “We come from a patriarchal society. There are people, black and white, who don’t believe that women must be assisted in that manner. We must break the stereotypes and the prejudices. Black and white women must be assisted in employment situations. Phosa said that transformation of the economy cannot be judged by merely looking at the JSE, where black companies are by far in the minority. “The problem is more complicated. The JSE shows you that the head of the economy is white, and it’s not about to change. We need to educate ourselves about the need to do the right thing and share that. An economic Codesa is very important. “In transforming that environment, you want to create a non-racial economic situation. There is a suspicion from some communities who are defined as black, like coloured people, who feel BEE does not include them. They feel that the ANC government only talks about the darker-skinned guys and that they are not part of it. We must address that issue so that all citizens feel included in the BEE situation. “We must deracialise the Stock Exchange, but that is just one area we need need to fix. We must make every person – white, black, Indian, coloured – feel that they’re part of this transformation. No one must be excluded, either in terms of skills empowerment or economic direct participation. “There must not be the feeling that some group is getting richer than the other. We should remove it because black oppression is as bad as white oppression. Black apartheid is as bad as white apartheid. “If you talk about economic transformation, it must be total and for everybody. If you do that, you’re giving investors the impression of a very stable society with policy stability.